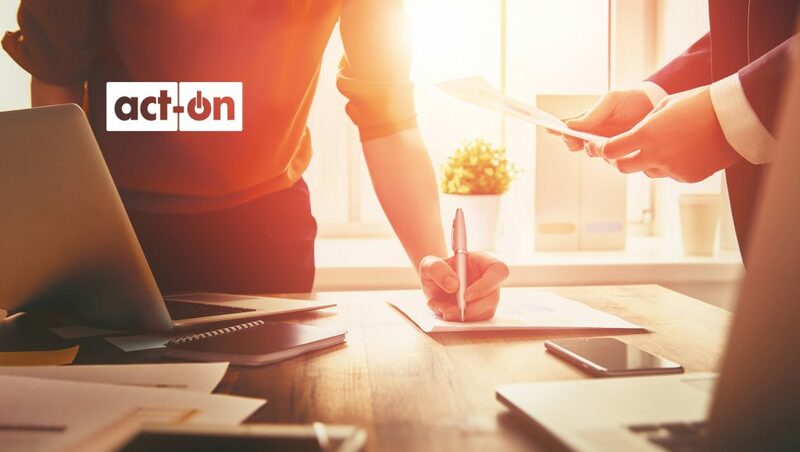 Act-On Software, the leading provider of adaptive marketing automation for mid-market enterprises, grew its new customer acquisition in the first half of 2018, setting company records for contract life-time value. This strong customer growth is a direct outcome of Act-On’s strategy to invest in innovation and a financial architecture that has driven profitability for the company for the first time in its ten year history. Act-On achieved new milestones in profitability in H1 2018, becoming cash-flow positive and setting itself on a trajectory of profitable growth. The company nearly doubled its Portland footprint, as it closes in on 100 new employees in 2018, and opening a new Portland office space. In addition, Act-On hired Simon Lappin as its new VP of EMEA Sales. It was also proud to be named a MarTech Breakthrough award winner in the Marketing Automation Innovation category. Enterprises such as Hughes Network Systems along with growing mid-market companies like San Francisco Fire Credit Union and German-based LucaNet all joined the Act-On family of over 4,000 customers in Q2 2018, integrating Act-On as a critical component of their digital marketing strategy and growth plans.